Recently, we painted Austin's room a light blue. 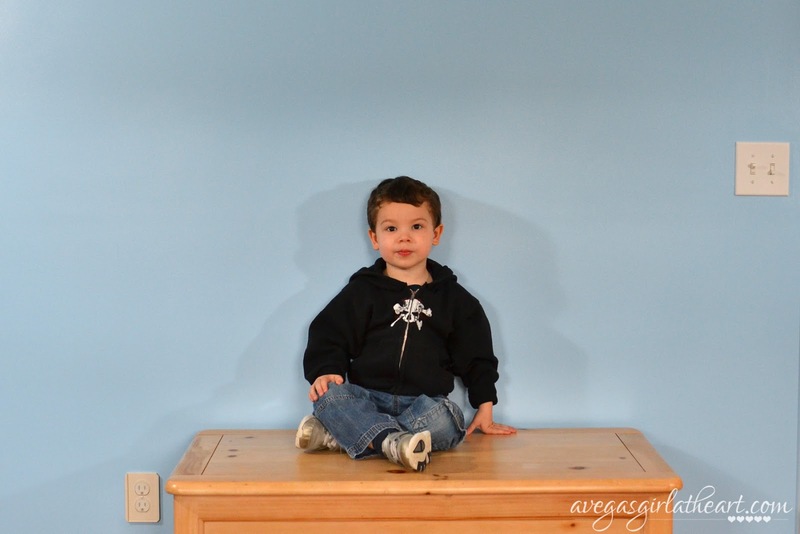 He chose the color blue and we narrowed it down to the Pantone Cool Blue, using Valspar's Signature paint. 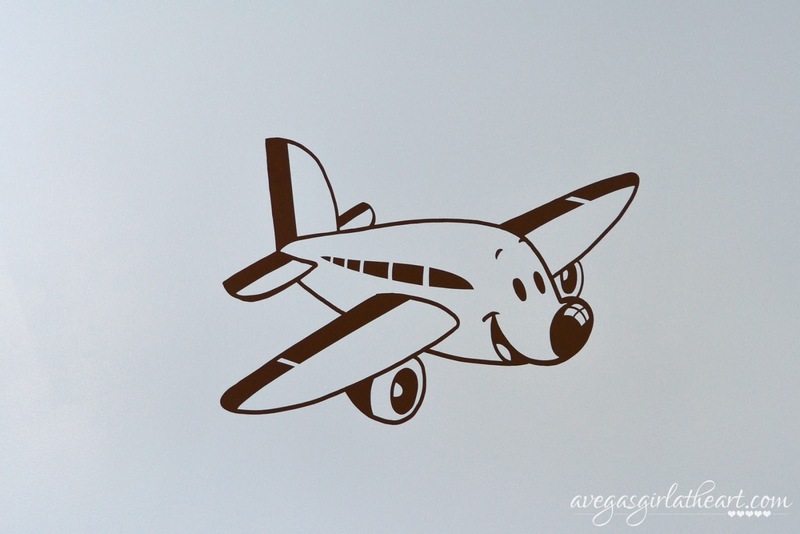 I was also lucky enough to get the chance to review a wall decal from Cozy Wall Art (http://cozywallart.com/), and chose this adorable Cartoon Airplane wall decal to help finish off the room. 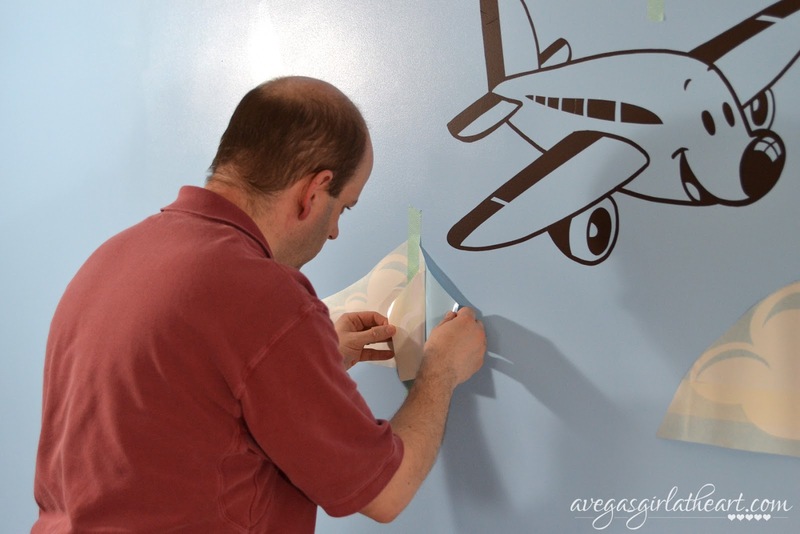 This was our first time using a vinyl wall decal, so we were a little nervous before applying it, but the decal came with a complete instruction sheet, as well as a little tester wall decal to try. 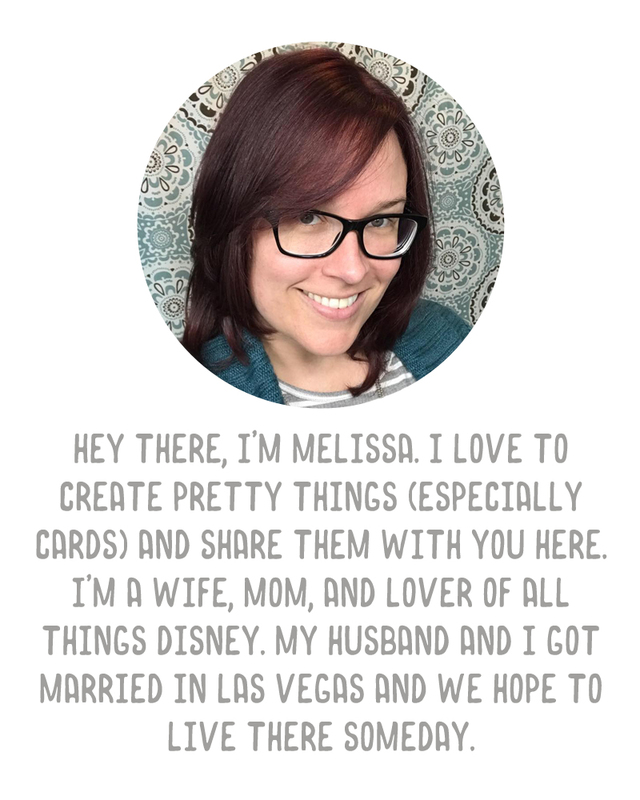 I thought I'd share a little bit about the process and our thoughts. First, here's Austin showing off his bare blue wall before starting the application. I'd like to say he helped us do it, but not so much. The decal came rolled in a triangular mailing tube, and shipping was pretty fast as well. We opened it up and spread it out to flatten it down a bit. Had we had more foresight, we would probably have laid it flat under some books or something heavy for a few days. I just think this may have made it a little easier when applying. 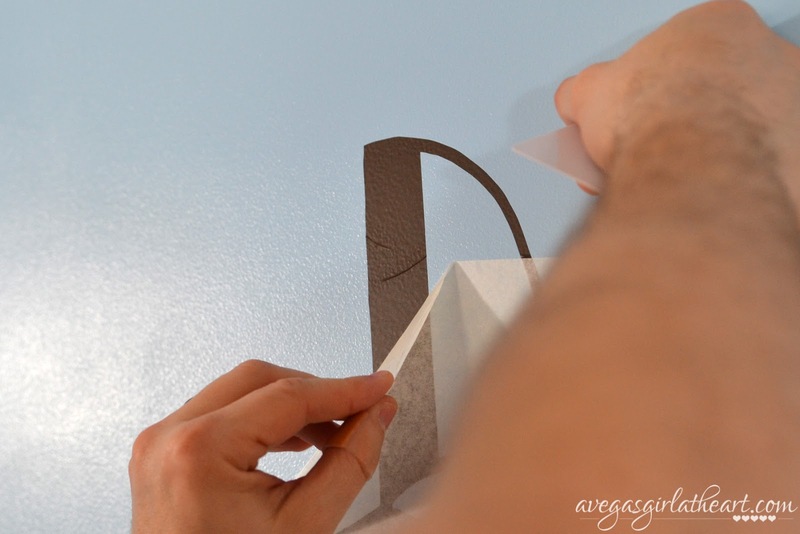 The decal comes with a clear instruction sheet that gives you all the steps for applying the decal. 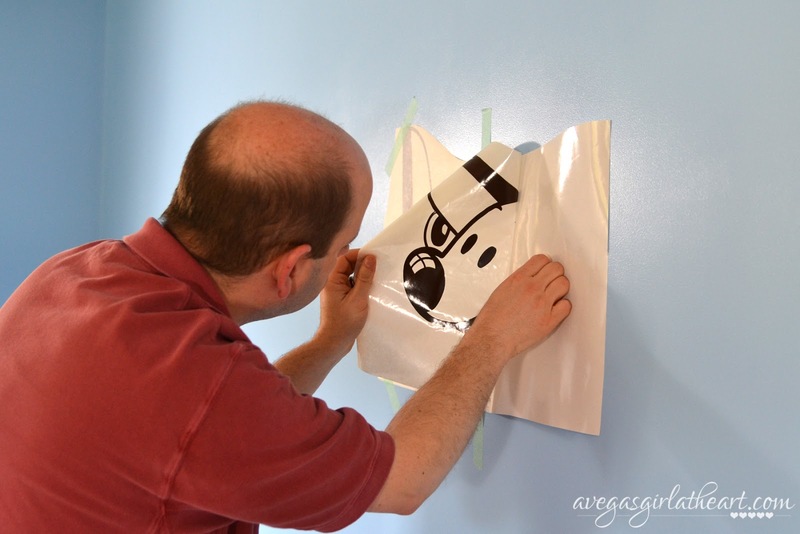 First, Brad used the tester decal. 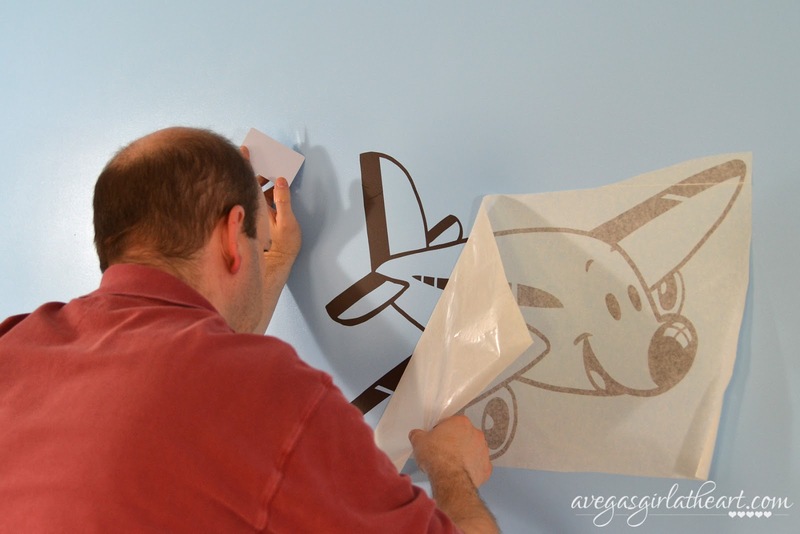 To apply the decal, you need to tape it up to the wall to get it in place, then peel away part of the backing, attach the decal to the wall, and peel away the other half of the backing. See those creases? We couldn't fix them once the decal was on the wall. So definitely, go very, very slow. It's not a complicated process at all, it just takes patience. 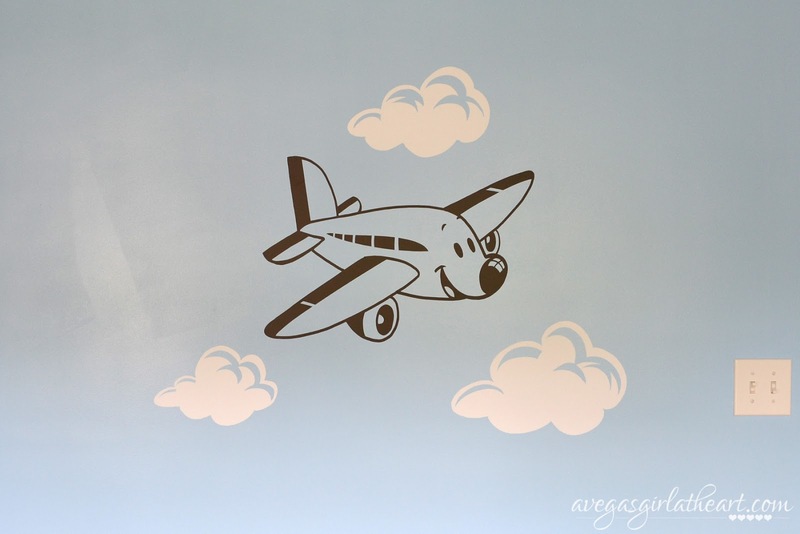 Once the plane piece was up, we attached the clouds in the same manner, following the placement on the picture on the Cozy Wall Art site. I think it turned out great. 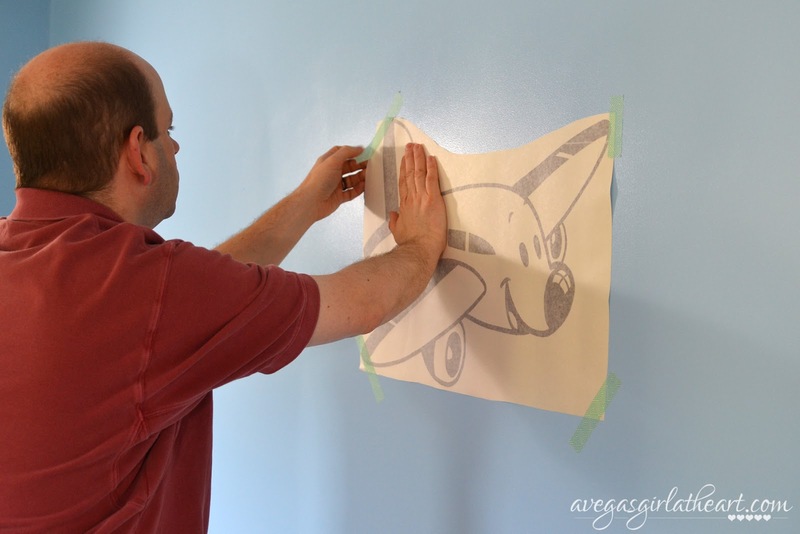 You can't see those mistakes unless you're close up to the wall art, and Austin adores his new plane. I definitely recommend Cozy Wall Art. They have some really adorable wall decals for children and for nurseries, for teens, and they also do wall quotes. 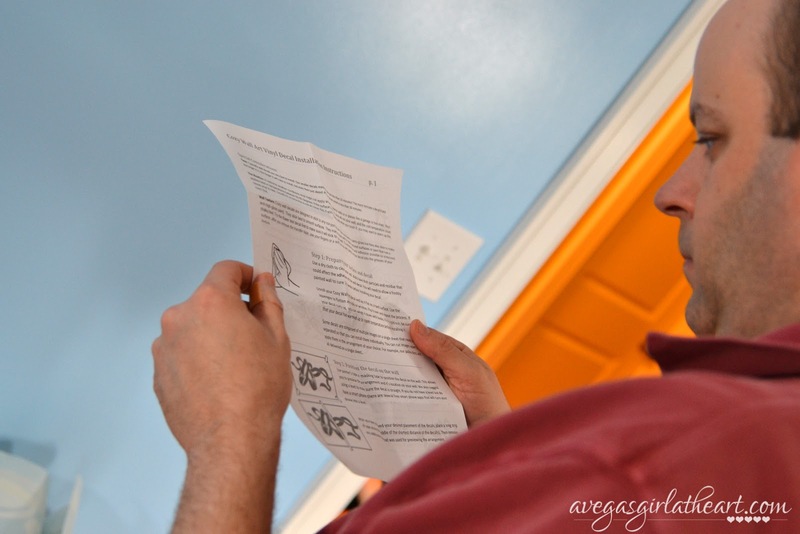 Disclaimer: I was provided with a vinyl wall decal from Cozy Wall Art for review, but the thoughts and opinions in this review are 100% my own. This is sooooo freakin' cute. 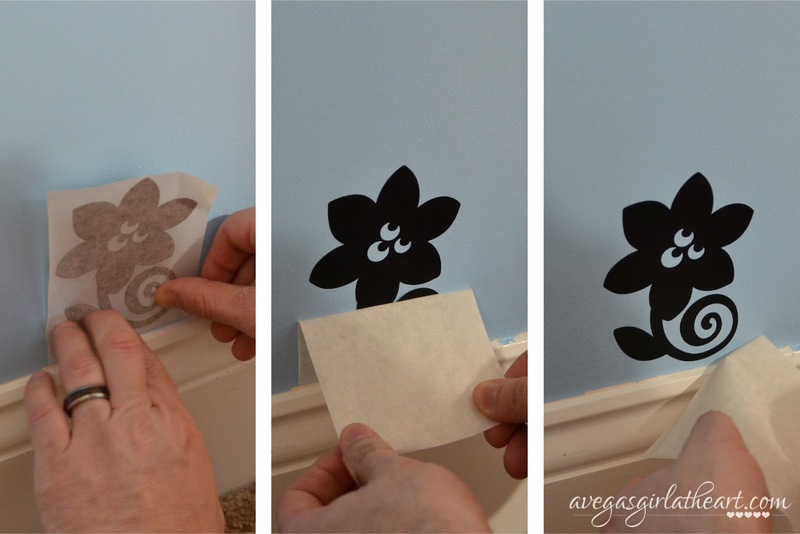 I always wondered - can you peel them off the wall when you want a change? or do you paint over them? They just peel off (a hair dryer makes it easier according to the website). Which is awesome, because I would not want to have to paint over it! oh awesome! that makes it easy!